LessMoreAbundantly: The Tao of the Strudel | Less. More. Abundantly. Eating less. Praying more. Loving abundantly. This blog will have it all. Will have it all and wrap it in yummy pastry. This morning I wanted to make a fancy family breakfast. As a child born in and growing up mostly in Germany, I’m a daughter of an Army officer, German pastry is near and dear to my heart and stomach. I found strudel in the frozen food section. Legit German strudel was baking and filling the house with fruity baked goodness. Then I tried to balance the checkbook. Tried because I had a brain burp and forgot how to balance a checkbook. Later I wanted to forget the ending balance and how low it was. Then I tried to clean the dining room. Tried because it was at this moment my 4-year-old decided it was time to watercolor paint clowns to send to Uncle Michael. Then I checked my calendar to confirm practice, work and travel schedules. Tried and then was reminded I’ll have only 4 hours of daylight before traveling for a business trip with my husband. Then I stepped on a Lego and tried to shake it off. Tried because it was embedded in bubble gum. In the carpet. Then the clouds came rolling in. Clouds I’ve tried to overcome. Each emblazoned with their own headline. Failure.Poverty.Mess.Anxiety. I sat across from the watercoloring 4-year-old, scratching my foot from where the gum was still stuck with tears in my eyes. Bing. Time to have some strudel. I wanted to cry harder. Then I had a thought. Strudel is a many layered, splendorous thing. What if I carefully removed the burnt layers? I grabbed a knife and began to scrape. 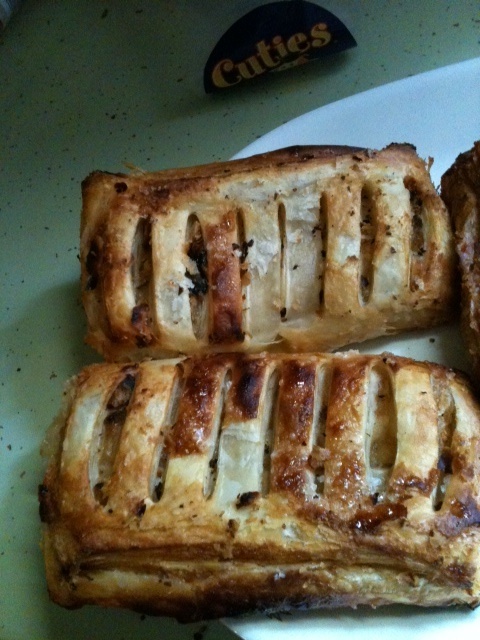 Within minutes, somewhat normal, and quite tasty pastry emerged. 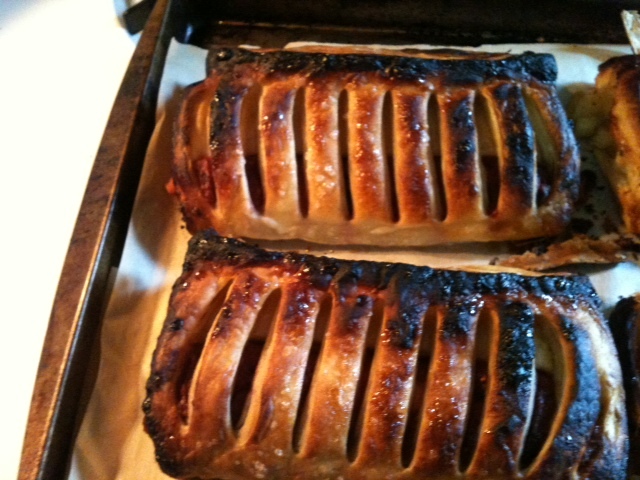 What does burnt strudel have to do with LessMoreAbundantly? To begin with, I ate less. I didn’t eat the whole thing, which I wanted to do. Instead, had a piece. A small one. I prayed more too. For as I was going through the morning I was listening to worship music and praying. I prayed as I plucked gum from the carpet. I prayed as I sorta balanced the checkbook. I prayed as I scraped the strudel. I realized I have become like the strudel. I’ve been scorched by failure, lack, rejection and apathy. My sweeter side has been melted under the heat of depression and anxiety. Yet, as I prayed, an idea emerged. Perhaps this season is about pruning. It’s about peeling back the burnt layers to get to the fruit on the inside. My burnt layers are superficial anyway. They are emotion, ego and confidence. All fickle and fleeting to be sure. The promise of bearing more richer and more excellent fruit is truly something to chew on. This divine paradox of love so abundant as to allow pain so that richness and excellence can come forth is astounding. The question becomes, do I love myself abundantly enough to scrape off the burnt layers and get down to the healthy, the balanced and the graced?